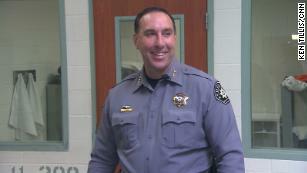 Denver (CNN)Weld County Sheriff Steve Reams disagrees so much with a gun bill making its way through the Colorado legislature that he's willing to go to jail rather than enforce it. 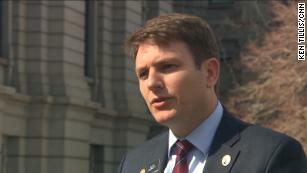 Colorado's state Senate passed the bill Thursday by a single vote, without any Republican support, and the bill is expected to pass the House, possibly this week. With Democratic majorities in both chambers, state Republicans have too few votes to stand in the way. Colorado's "extreme risk protection order" bill would allow a family member, a roommate, or law enforcement to petition a judge to take someone's firearms if they are deemed to be a danger to themselves or others. The push for legislation followed the death of Zack Parrish, the 29-year-old Douglas County sheriff's deputy killed in 2017 by a man with an arsenal of weapons who authorities said had a history of bizarre behavior, including threats to police. Parrish's former boss, Sheriff Tony Spurlock, has been one of the most vocal advocates of the bill and says he believes it could have prevented Parrish's death. Democratic House Majority Leader Alec Garnett, one of the bill's primary sponsors, agrees. "What I'm going to lose sleep over is, if that's the choice that they make and someone loses their life, someone in crisis goes on a shooting spree, (or) someone commits suicide" because a gun wasn't taken away, he said. David Kopel, a constitutional law expert who has written extensively about gun policy in the United States, says he thinks the bill is generally a good idea but that he has serious reservations about how it is written -- in part because of outside influence. The bill allows a judge to order a person's guns to be seized before the person has a chance to appear in court. The bill does require a second hearing with the gun owner present to be held within 14 days, where the owner could make a case to keep the weapons -- but if the owner is unsuccessful, a judge could order the guns seized for as long as a year. The burden of proof is low -- "preponderance of the evidence," which is the same standard used in civil cases, and a much lower bar than the criminal standard, "beyond a reasonable doubt." "Going in and taking their guns and leaving the scene, I can't see how that makes them less of a risk. It just takes one tool away," said Reams, arguing that a person bent on hurting someone could do it with a knife or a car. In 2018, a man near Baltimore was killed after officers showed up to seize his weapons based on a court order and "he became irate," police said. "The opposition is always there. It will always be there and there's nothing, there's no amendments or any changes that could be made to bring the sheriff from Weld County onboard," he said. A total of 32 counties have declared themselves Second Amendment sanctuary, or preservation, counties or passed similar resolutions. Most vow support for their sheriffs and state that no resources or money will be used to enforce unconstitutional laws. Another two counties already had similar resolutions on the books, and one other has sent a letter to the legislature declaring its opposition. "Why would you tell a law enforcement officer they could not enforce the law because you didn't like it? That's craziness," said Spurlock.